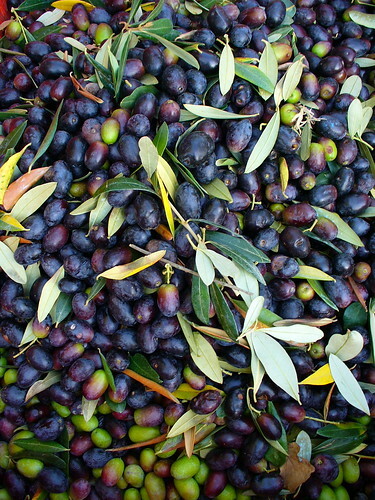 How do you like your learning – with or without olives? Being in Istanbul, Turkey to do a program evaluation training on behalf of the United Nations naturally means eating a Turkish breakfast. This morning I found myself musing about learning over olives. Yes olives. I was watching the pile of uneaten olives grow on the plates of my breakfast mates. David Muthami, a music producer from Kenya and Sara Mitaru, a Messenger of Truth also from Kenya, were talking traditional Turkish breakfast. If you haven’t eaten one, a traditional Turkish breakfast that is, they usually has some combination of fresh bread, tomatoes, cucumber, cheese, hard boiled egg and olives. This is my idea of a great breakfast, which I’m known to attack with gusto. Olives are an acquired taste however. David described them as tasting like sand mixed with vinegar, salt and sour milk. Which other than making me think this guy has a way with words, got me thinking about learning. What is normal, natural and right for one is abnormal, unnatural and not right for another. I love olives and eating them at breakfast is perfectly fine with me. David, not so much. As his face soured at the thought of eating an olive, I thought it made for a great comparison for learning. Learning atmospheres – do you like yours quiet and serene or noisy and rambunctious? Solo or with a crowd? Learning content – do you like to dive right in and try new things or do you prefer to take a more cautious, thoughtful approach? Learning style – do you prefer to learn by seeing, hearing and/or doing? If you have a certain preference (say quiet reflection) and a trainer works from another approach (jump in, go, go, go) then it’s like asking David to wolf down olives gleefully and willingly. What is one person’s salty slice of heaven is another’s “sand mixed with vinegar, salt and sour milk”. As learning and development specialists it’s our responsibility to provide a banquet of learning of opportunities so if someone chooses to pass on the olives there are lots of other tasty treats to tantalize their learning taste buds. Secondly, it clarified a few things about learning that I’ve recently been pondering. I like quiet, but often enjoy bouncing ideas off others, and learn most by doing! Finally, wondered if you’d mind being a guest blogger for me? I’m still new to blogging and developing my ‘style’. Enjoyed yours! All of the above can work and work well for me. To stick to one process doesn’t address the challenges I may have with certain subjects, i.e. math. What is equally important to me is what I do in between the ‘learning’ sessions… meditating, yoga, taking a walk, putting some music on and dancing.. things that get the blood moving, the brain cells receptive, the spirit renewed. They are a way to step back from those times I’m feeling frustrated about learning something, tired from pushing myself. Those in between sessions are when my intuition steps in and I’m able to see the ‘big picture’ of what I’m working on. Good for you Sam – knowing what enhances, renews and invigorates your learning. I think too many of us don’t know. I had a revelation this summer when I realized why I love listening to podcasts so much when I’m driving. It’s because audio is my worst form of receiving learning and it’s only when I’m doing something kinesthetic (eg driving) that the info ‘gets in’ my noggin. In my big picture view, I think too many trainers stick to a narrow and predefined way of teaching – one that unconsciously serves their format of learning. Hi Debbi- thanks so much for commenting. Glad it whetted your appetite! Would love to be a guest blogger – let me know what kind of post you’re looking for and let’s chat more. Have you connected with Sharon Gaskin btw? I’m headed to a women’s business conference in Paris in the fall to speak and am going to stop off to meet her in person (we’ve been corresponding online up til now). She writes about training as well, specifically for trainers who are self-employed. Yes, I’m connected to Sharon (via twitter and email), though not met in person. Feel free to contact me via my email and we can talk more about blog posts.